Earlier this month, security researcher Victor Gevers found and disclosed an exposed database live-tracking the locations of about 2.6 million residents of Xinjiang, China, offering a window into what a digital surveillance state looks like in the 21st century. Xinjiang is China’s largest province, and home to China’s Uighurs, a Turkic minority group. Here, the Chinese government has implemented a testbed police state where an estimated 1 million individuals from these minority groups have been arbitrarily detained. Among the detainees are academics, writers, engineers, and relatives of Uighurs in exile. Many Uighurs abroad worry for their missing family members, who they haven’t heard from for several months and, in some cases, over a year. 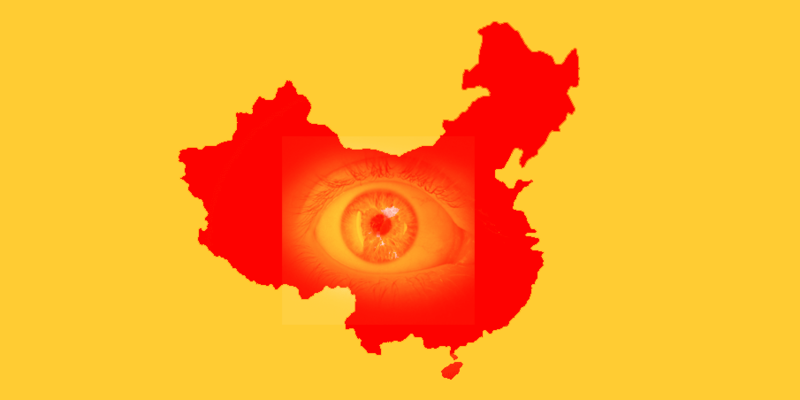 The prevailing evidence of mass detention centers and newly-erected surveillance systems shows that China has been pouring billions of dollars into physical and digital means of pervasive surveillance in Xinjiang and other regions. But it’s often unclear to what extent these projects operate as real, functional high-tech surveillance, and how much they are primarily intended as a sort of “security theater”: a public display of oppression and control to intimidate and silence dissent. Now, this security leak shows just how extensively China is tracking its Xinjiang residents: how parts of that system work, and what parts don’t. It demonstrates that the surveillance is real, even as it raises questions about the competence of its operators. Earlier this month, Gevers discovered an insecure MongoDB database filled with records tracking the location and personal information of 2.6 million people located in the Xinjiang Uyghur Autonomous Region. The records include individuals’ national ID number, ethnicity, nationality, phone number, date of birth, home address, employer, and photos. Over a period of 24 hours, 6.7 million individual GPS coordinates were streamed to and collected by the database, linking individuals to various public camera streams and identification checkpoints associated with location tags such as “hotel,” “mosque,” and “police station.” The GPS coordinates were all located within Xinjiang. This database is owned by the company SenseNets, a private AI company advertising facial recognition and crowd analysis technologies. A couple of days later, Gevers reported a second open database tracking the movement of millions of cars and pedestrians. Violations like jaywalking, speeding, and going through a red-light are detected, trigger the camera to take a photo, and ping a WeChat API, presumably to try and tie the event to an identity. China may have a working surveillance program in Xinjiang, but it’s a shockingly insecure security state. Anyone with an Internet connection had access to this massive honeypot of information. Gevers also found evidence that these servers were previously accessed by other known global entities such as a Bitcoin ransomware actor, who had left behind entries in the database. To top it off, this server was also vulnerable to several known exploits. In addition to this particular surveillance database, a Chinese cybersecurity firm revealed that at least 468 MongoDB servers had been exposed to the public Internet after Gevers and other security researchers started reporting them. Among these instances: databases containing detailed information about remote access consoles owned by China General Nuclear Power Group, and GPS coordinates of bike rentals. China, like many other state actors, may simply be willing to tolerate sloppy engineering if its private contractors can reasonably claim to be delivering the goods. Last year, the government spent an extra $3 billion on security-related construction in Xinjiang, and the New York Times reported that China’s police planned to spend an additional $30 billion on surveillance in the future. Even poorly-executed surveillance is massively expensive, and Beijing is no doubt telling the people of Xinjiang that these investments are being made in the name of their own security. But the truth, revealed only through security failures and careful security research, tells a different story: China’s leaders seem to care little for the privacy, or the freedom, of millions of its citizens.